Break-up is proceeding apace and we can see patches of flowing water in most interior riverways. 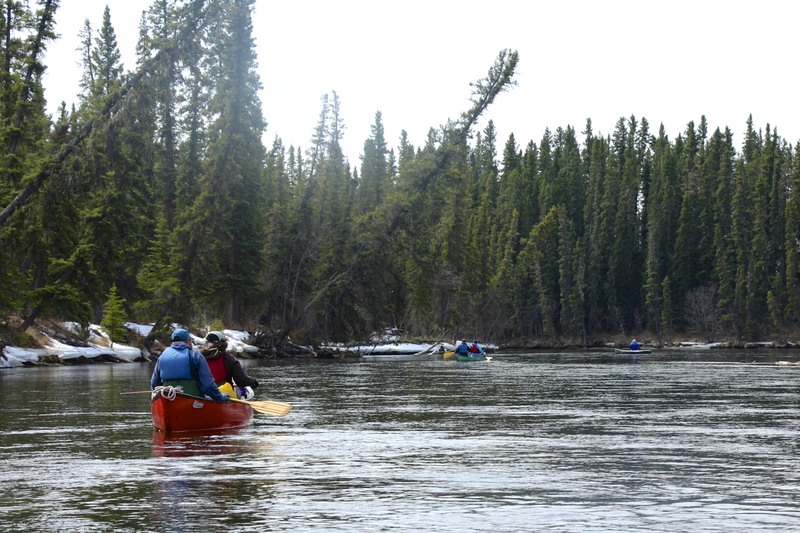 Fairbanks Paddlers annually celebrate the arrival of spring with a trip on the Delta-Clearwater River near Delta Junction. This area has some of the first water to open up in the Interior each spring, so if our timing is right we may have an excellent opportunity to see many species of waterfowl (including swans) up close. This year the trip will be on the weekend of April 20-21, which is a little earlier than it has been in recent years. As usual, we will have a day trip and an overnight trip. Alan Batten will lead the day trip on Saturday, April 20, and Cam Leonard will lead the overnight trip leaving the same day and finishing up on Sunday. Interested paddlers should contact the leaders, who will send out details later. Alan’s (day trip) contact info is alanbatten@acsalaska.net, H: 488-3205, C: 378-6384. Please note that all participants must be current members of Fairbanks Paddlers. Memberships can be renewed at https://www.fairbankspaddlers.org/join/. A major difference from previous years is that now we are purchasing liability insurance for our trips through the American Canoe Association (ACA). This takes a big worry off the minds of those of us who volunteer to lead trips, and we hope it will lead to having more volunteers step forward. However, this does add another level of beaurocracy to our trips, so we hope you will all be patient with that. Each participant will need to be a member of the ACA, either an annual member or a member for a day. Annual memberships cost $25 (https://www.americancanoe.org/general/register_member_type.asp). 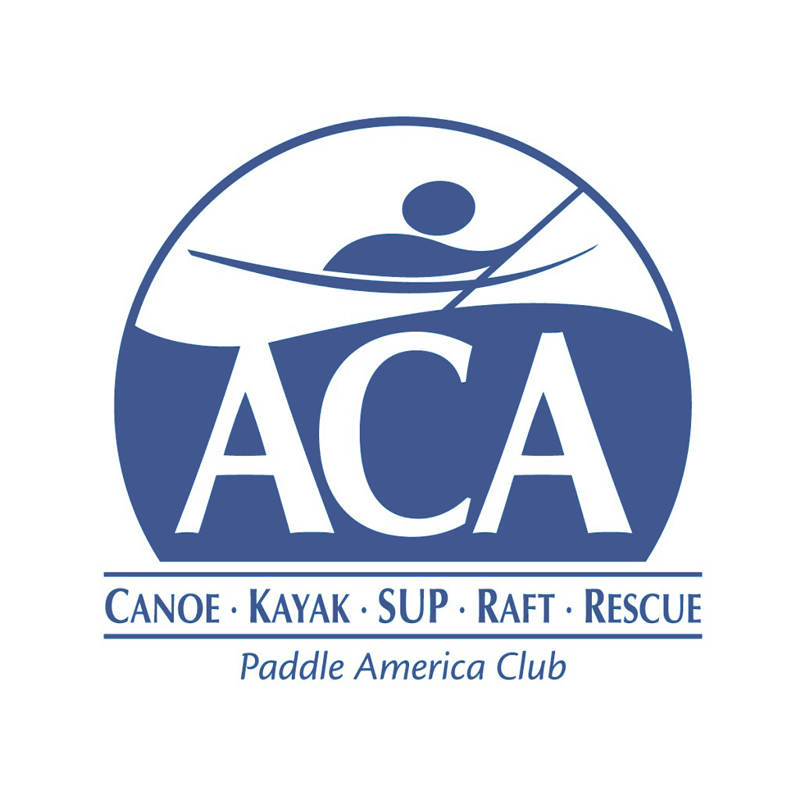 Fairbanks Paddlers is an ACA Paddle America Club so we are on the list of clubs in the drop-down menu on the membership form. ACA members will need to know their ACA number when you show up for our trips. The other option is to become an ACA member for one day, which costs $5. Trip leaders will have this type of membership form at the put-in. Please understand that it is now necessary to be a member of both Fairbanks Paddlers and, at least for the day, the ACA. The ACA is an excellent organization that is very effective in promoting boating safety, education, waterway conservation, and river access. It deserves our support. Spring is a great time to get your paddling skills tuned up before hitting the rivers when they are cold, high, and swift after breakup. There are several opportunities to practice your skills, work on your roll, and have fun with other paddlers at local swimming pools. If you bring your own boat, please be sure to clean out all the silt, sand, leaves and rodent nests before bringing it. You can give it a final rinse with hoses provided poolside. If you can’t bring your own boat, contact Alaska Dream Adventures in advance at (907) 460-2909. They offer boats and gear at no extra charge and also offer lessons upon request. 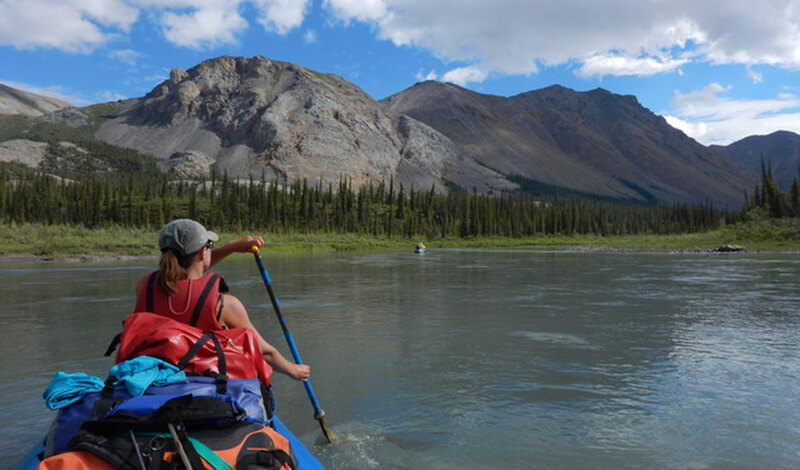 Fairbanks Paddlers business member Alaska Canoe School announces its summer 2019 schedule for canoe instruction. River Canoeing Sequence. Three American Canoe Association River Courses linked Levels 1-3. River Canoeing Instructor Development Workshop and Exam. This is for experienced cancers who want to become ACA Certified Instructors River Canoe Level 2. Introduction to River Canoeing Part 1. Evening course divided into halves for those who want a course on a week night, Wednesday. Introduction to River Canoeing Part 2. Second half on Thursday night. Essentials of River Canoeing. Day long course. More courses and custom courses are available upon request. Women’s Paddling Group events will also this summer. Contact Alaska Canoe School for more information. Fairbanks Paddlers hosts the second presentation in our Spring Slideshow series at 7 p.m. Wednesday, March 20 at the Blue Loon. The Wind River is a Wild and Scenic River located on the south east side of the Brooks Range and flows into the East Fork of the Chandalar River. Tom and Sarka Paragi, Dave Sauer, and John Morack floated the Wind River for eight days during August of 2018. The upper part of the river flows through the mountains with great views which the group took advantage of by taking several hikes. It is a great wilderness trip which is floated by only a hand full of groups each year. Admission is free. Donations are welcome. The public is invited. Under age 21 must be with parents. Fairbanks Paddlers will hold it’s 2018 Annual Meeting and Potluck Dinner on Friday, November 9 at the Unitarian Universalist Fellowship of Fairbanks. All are welcome to attend. Last year’s “crowd-sourced” slide shows and videos were so well received, that we have decided to bring this format back to the featured presentation following the short business meeting and election. At the 2017 meeting, we celebrated Wild and Scenic Rivers. Nine people shared their images and stories from river adventures. We would like to keep each presentation to about 5-7 minutes. 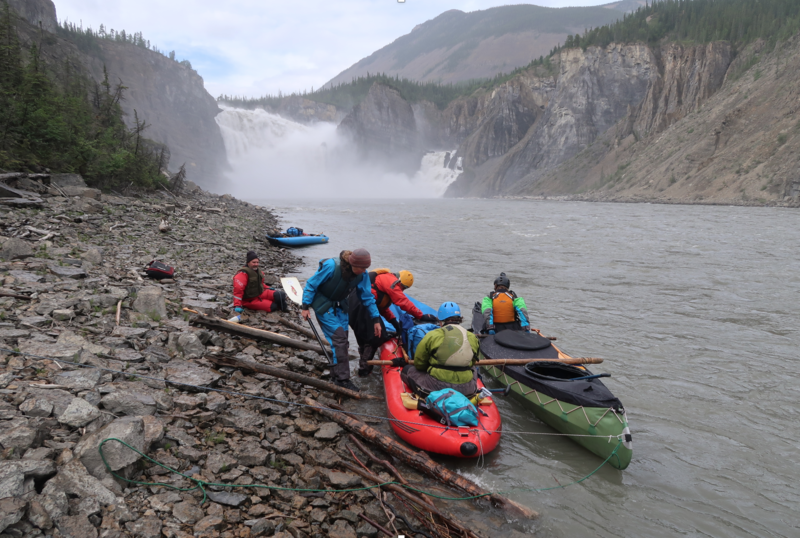 These mini-shows can highlight any human powered river trips, but we would especially like to invite presentations of wild and scenic Alaskan rivers, whether they are officially designated or not. If you are willing to share few images, video clips, and memories, please contact John Schauer at johnjschauer (AT) gmail.com or (907) 457-3962 in advance. Pictures or videos should be loaded on a USB drive to transfer onto the presenting computer. Last year, we kicked off the 50th Anniversary of the Wild and Scenic Rivers Act. The actual 50th anniversary of this historic act’s passage was October 2, 2018. To continue the celebration, we will show the 42 minute video “Run Wild Run Free: 50 years of Wild and Scenic Rivers” following our mini-slide shows. 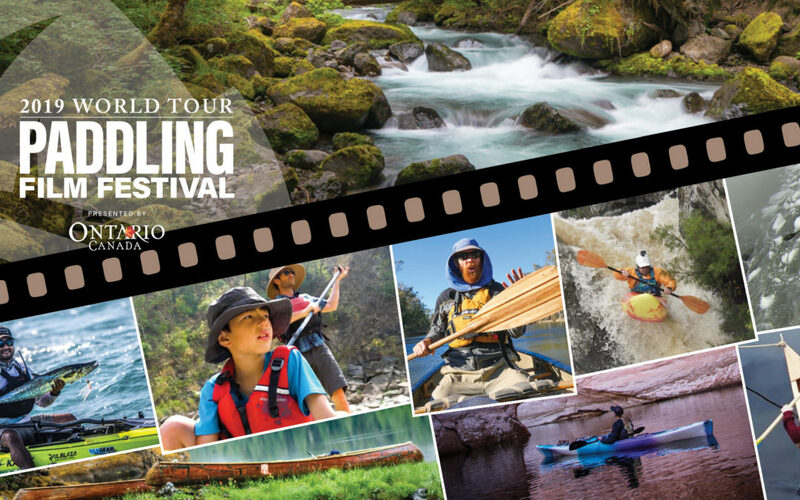 The film “Run Wild Run Free…” takes the viewer through the history to the present of Wild and Scenic as told through experts, grassroots organizers, white water enthusiasts, and members of the Nez Perce tribe in Idaho. Run Wild Run Free: 50 years of Wild and Scenic Rivers : Official Trailer from Pacific Rivers on Vimeo. 7:30 PM – Brief Business Meeting – Summary of 2018 activities – Nomination and election of new board members. 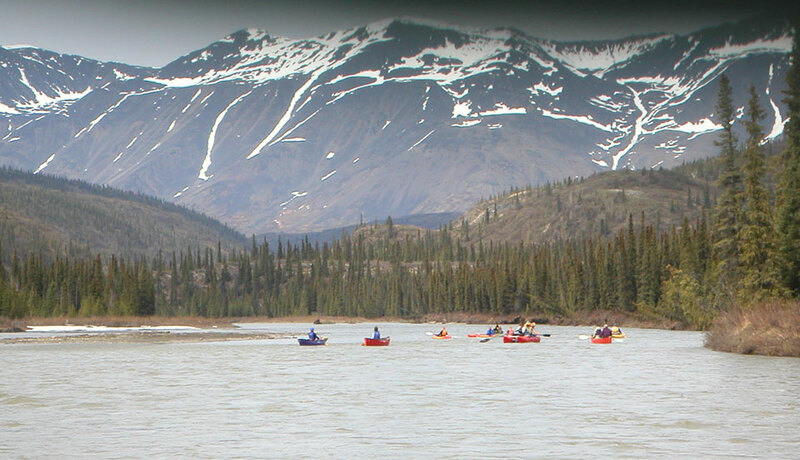 The Nenana Wildwater Festival takes place Saturday, August 18 near Denali Park, Alaska. 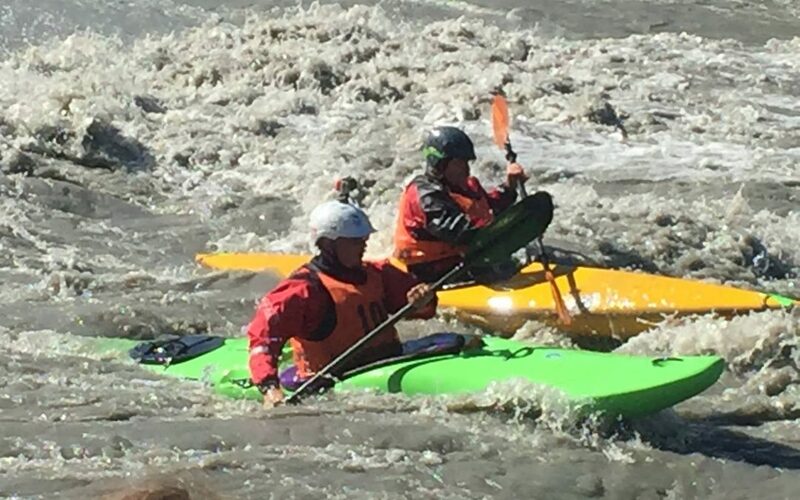 This is the 42nd consecutive year for this longest running river event in Alaska. Denali Chamber of Commerce and Visitor Center is co-hosting this event. 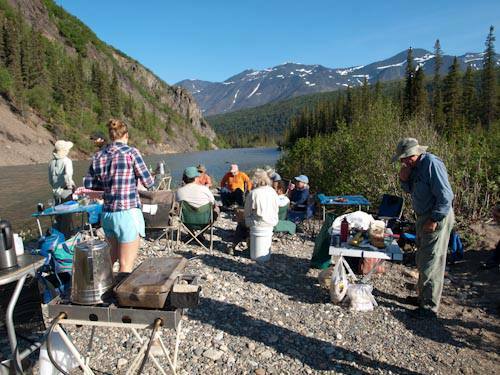 For more information on the event and for information about camping near Otto Lake, contact Denali Outdoor Center at (888) 303-1925. You can also join in other great fun events during the weekend. 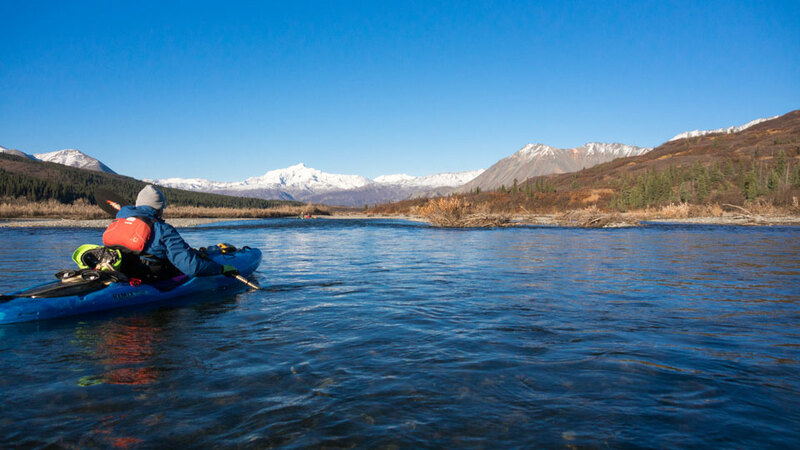 Alaska Dream Adventures will be hosting Epic Kayak Ultimate frisbee games at Otto Lake next at the Denali Outdoor Center dock on Friday, August 17 from 5-9 pm and on Saturday, August 18 Starting at 9 am. Boats and gear are provided. The Great Denali Duck Race will be held at 2pm right after the Wildwater race at the Jonesville Bridge. The Denali Blueberry fest and BBQ and the Denali Blueberry 5k Dash will also be held in the area this weekend. For more information, contact the Denali Chamber of Commerce and Visitors Center. The Reindeer Hills Overnight will be the weekend of June 9-10, 2018. On this trip we float the Nenana River between approximately 17-mile Denali Highway and the “Windy Bridge” (the curved bridge on the Parks Highway a few miles north of Cantwell; NOT the high bridge north of Glitter Gulch), starting Saturday, spending the night on the river, and taking out Sunday afternoon. The put-in is on the Denali Highway, about 18 miles east of Cantwell. The river parallels the road for a few miles, then cuts north behind the Reindeer Hills, returning to the road and the take-out on the Parks Highway at Windy Bridge. It is a fast-moving, glacial-fed river rated class I to II-. 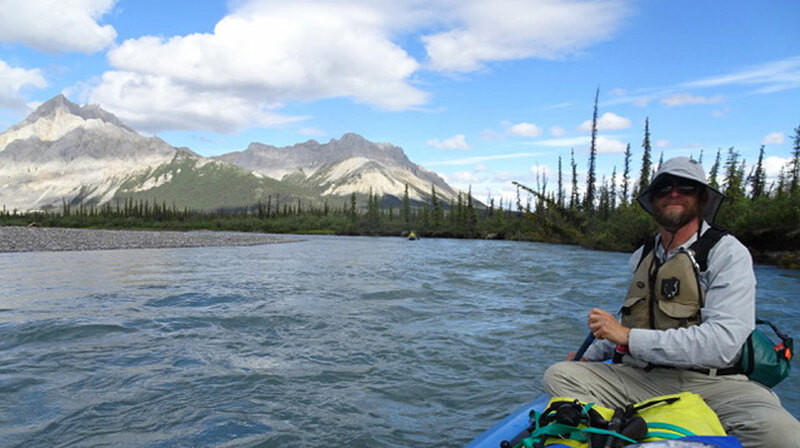 A set of rapids, perhaps a mile long, starts near where the river turns away from the Denali Highway and is straightforward, with some waves up to a foot high in a clear, wide, unobstructed channel. A few large rocks near the waterline lurking along the sides towards the tail end of this rapid, however, keep paddlers alert. 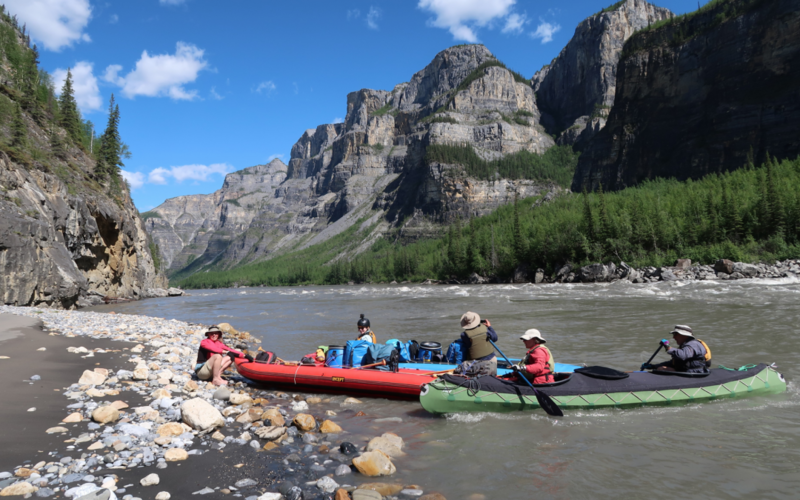 The primary challenge to newer moving water boaters on this trip is the numerous bends often populated with sweepers and strainers in fast-moving current, requiring competent river-reading and paddling skills. A decent back-ferry is recommended, as well as suitable cross-current forward movement skills. It is definitely a step up from the upper Chena, but not as challenging as lower sections of the Nenana. If you are comfortable on the upper Chena and are looking for a change of scenery and a little more challenge, this may be the trip for you. Its vistas are beautiful, especially on a clear day, and there is a fair chance of seeing moose, caribou, or bear. We will camp either on an island above Bruskasna Creek, or right by the creek’s mouth. The Bruskasna site has been popular in the past, but it has become overgrown over the years and the views and possibility of sun is better at the island camp. We could easily have rain on the trip, and the nights can be chilly, even near freezing, though that’s usually more likely earlier in June. 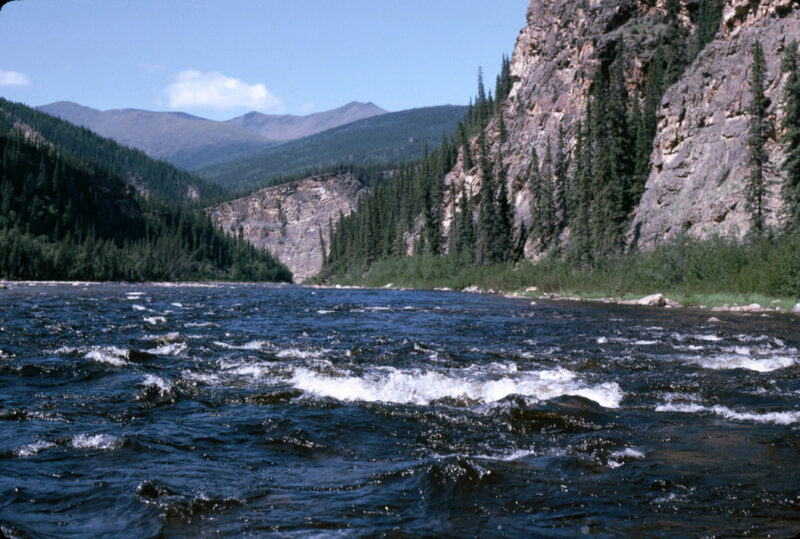 The river water, however, is extremely cold; a drysuit and fleece layering is nice, though not necessary, but rain gear, non-cotton layering and extra clothes are a must. I’ll bring a large kitchen tarp, cookware and kitchen tools, a 4-burner stove, a groover, and two tables. People should bring snacks, lunch, eating utensils, a cup and a bowl or plate. We can talk about major meals when I have a clear idea of who is coming. Participants must be current members of Fairbanks Paddlers. I’ll have membership forms on hand for those who need to re-up for this summer. Fees are $10 for an individual and $15 for a family sharing one roof. If you desire a business membership you should contact the club treasurer before the trip. Brad Snow will coordinate this trip. He will notify participants of the meeting time, place and shuttle plans as the weekend gets closer and folks sign up. There will be a designated parking spot on the west side of Fairbanks where people can meet to carpool. However this falls, we’ll want to leave Fairbanks, packed, boats tied on, and vehicles gassed by 9am at the latest. We’ll likely get off the river Sunday afternoon around 3 or 4 p.m., but after running shuttle and loading, plus the 2-hour drive to Fairbanks, plan on arriving home no earlier than 7 or 8. For further information and to sign up, please email the trip coordinator, Brad Snow, at svaldonza@gmail.com .